The Thermo Scientific Niton XL2 handheld X-ray fluorescence (XRF) analyzer is now easier to use and more durable for operators and quality control personnel in scrap recycling, fabrication, PMI and other industrial applications thanks to a new design update. 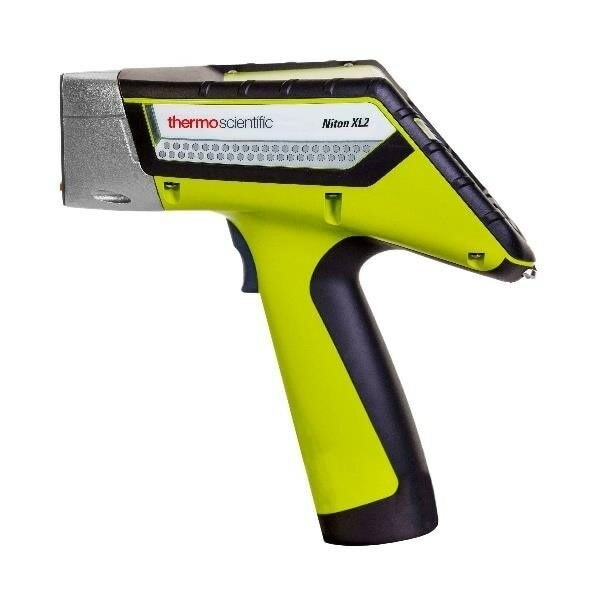 The Thermo Scientific Niton XL2 Plus handheld XRF analyzer, which provides elemental composition and enables metal alloy identification, is intended to allow users to conduct laboratory-quality testing in the field. The update incorporates new functionality into the original Niton XL2 analyzer that is designed to provide uninterrupted operation in harsh environments, as well as an advanced silicon drift detector (SDD) that delivers superior analytical performance. The Niton XL2 Plus analyzer uses a standardless Fundamental Parameter (FP) calibration designed to provide fast and accurate quantitative results from unknown samples. The point-and-shoot instrument is equipped with a 2W x-ray tube and is optimized to provide low limits of detection, including light elements. Elemental analysis in scrap recycling, fabrication, positive material identification and precious metals; alloy identification and verification in manufacturing operations.